This is an album review that I am more then happy to pass along to everyone. A couple of years ago, I spent a weekend just outside of Baltimore Maryland attending a two day music festival (most of you who know me are familiar with the festival) called M3, and was lucky enough to be attending one of best shows I have ever been to, the day after at a bar in Hanover, a Brad Lee Entertainment event, one of the infamous Sleazey Slimey Sundays. I was lucky enough to be asked to shoot one of the meet and greets that day. 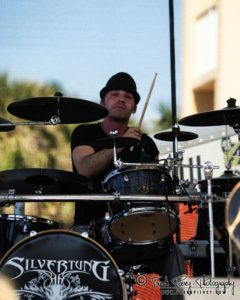 And also got to spend some time with some local boys that were on the bill, a band by the name of Silvertung. I have been fortunate enough to have seen them a few times over the last 2 years at a couple of different events from Florida all the way back to Baltimore. Guys, You all definitely need to hit further up the East Coast. 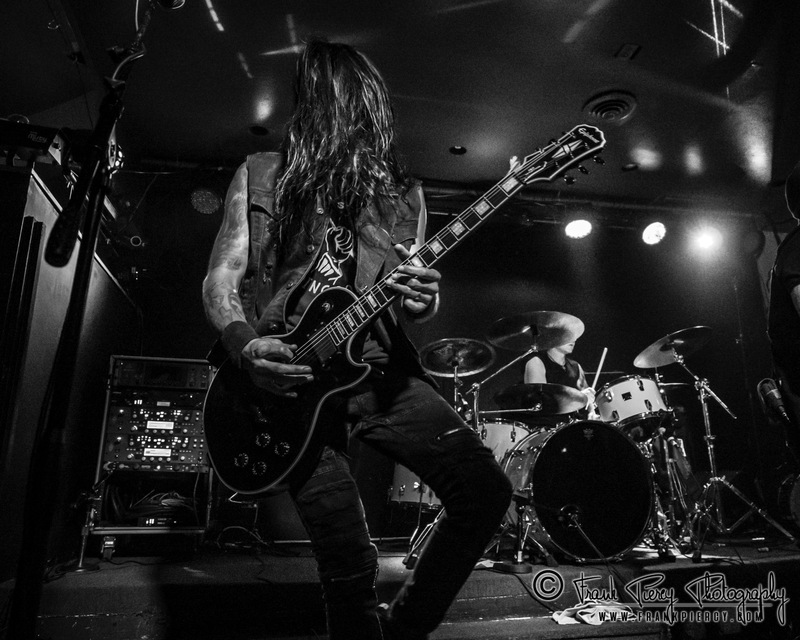 Silvertung consists of Speed,their Lead Singer and Guitar player, Codey Red on Lead Guitar, Sam Sour on Bass and Danno on Drums. 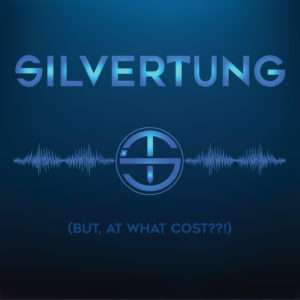 Silvertung have released a few albums already, 2013’s Devil’s In The Details, 2015’s, Never Too Late, 2016’s Out Of The Box (which I HAD been playing consistently) and the surprisingly great acoustical Lighten Up last year. A blue coffee mug with that logo would be a great piece of merch, just saying… OK, back to the review. But at What Cost is comprised of seven tracks produced by Steven Wright, who had also worked with Slipknot, Mars Volta, and Rihanna. To be honest, I love my music but I am not sure I can really tell what album is produced by what producer, just if they did a great job of producing the album or a crappy one. I have to say Steven did great on this one. Here is the track list, 7 songs of Hard Rocking goodness, from the opening song of “Dodging Bullets” to the creamy filling in the middle with “Wise Up” closing with the catchy “Done My Best”. 1.Dodging Bullets – a slow build into a driving tune that really sets the mood for the album, both musically and lyrically. 2. 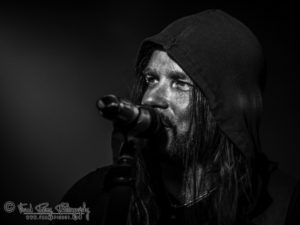 Feel Inhuman – Another Silvertung song that has been getting a lot of time on my playlist, not sure if it is the lyrics or the hypnotic rhythm it has. 3. World Gone Mad – A little softer then the first two but a heavy chop to it, closest thing to a ballad you will get on this album. 4. 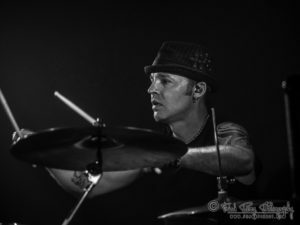 Wise Up – I love this song, guitars are great, Danno’s drumming is jumping out and the lyrics are once again sticking to out. 5. Black Sunset – Wow another song that is getting a lot of time on my playlists. A bit more busy then the previous songs but it hey heyyy heyyyy it works. A little more I am not what the word would be, industrial I think. 6. 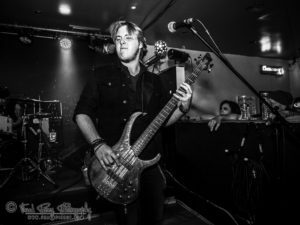 You’re Fine – Another song with chunky guitars and drumming that just pops out at you (yea I know a photography term but it works) with really positive lyrics. 7. 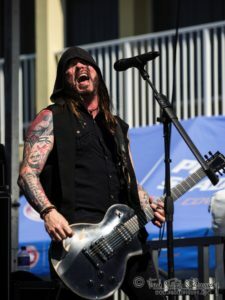 Done My Best – The final song on the album, and the type of song I really think Silvertung has done well with in the past, a catchy rhythm, drums that make you want to play air drums and make you scream along to, a great audience grabber, dare I say an anthem? 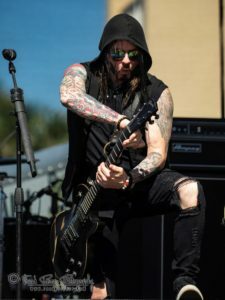 But At What Cost is a solid Hard Rock outing, a natural progression from “Out Of The Box” and one hell of an evolution from “The Devils In The Details”, damn I am already wanting to see what is up their sleeves for the next one…. 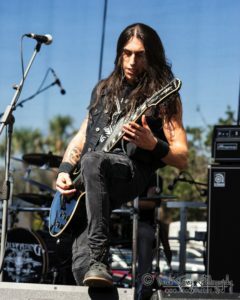 I am sure they are going to be hitting the road soon, hit their website up for their dates and go see them!! !